Welcome to Tacoma + Pierce County. Here, we&apos;ll show you that you don&apos;t have to go far to experience the joys of farming. 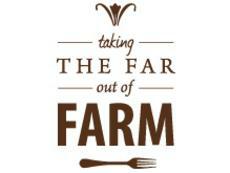 Indulge in farm fresh produce, learn where food comes from and shake hands with the growers. Enjoy authentic interactions with farmers, growers and chefs and discover the region&apos;s geographically distinctive food and drink. Plan your agritourism adventure in Tacoma + Pierce County today!